For the last eight months I have listened to my system transform before my ears, as I have used progressively higher levels of High Fidelity Cables as Rick Schultz, proprietor, made them available to me. (CT-1 interconnects, October 2012; CT-1E phono and interconnects, February, 2013; CT-1 and CT-1E speaker cables, May, 2013.) During this time I have learned more about how these cables work and sound. There are a couple of things I want to say before the review of the Ultimate version of the CT-1 interconnects and speaker cables. First, I expect this to be the last cable review I write for some time. I have spent far more time reviewing cables in the last year than I would ever want to do again. The only reason I have been willing to do this leads to the second thing I want to say. That is, I believe that Rick Schultz’s Magnetic Conduction Technology is truly a game changer for what audio reproduction systems can sound like. Likewise, I think Mark Coles’ Sablon cables redefine what a non-Magnetic Conduction cable can do at a reasonable price. Rick holds the pending patent (U.S. Pat. No. 8,272,876) on “Magnetically Enhanced Electrical Signal Conduction Apparatus and Methods,” or “magnetic conduction” as Rick puts it simply. You can read his simplified explanation at http://www.highfidelitycables.com/technology.html. He says the magnetic system allows the signal to flow more easily through the system resulting in much less distortion, a significant increase in information, and with proper breaking-in, a much fuller sound. Rick says to appreciate the impact of Magnetic Conduction technology, it is important to understand that an electrical signal is always accompanied by a magnetic field. It is the use of this magnetic element of signal transfer that makes the CT-1 fundamentally different from other cables. 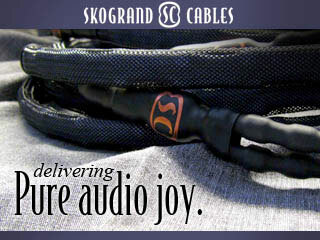 In the case of High Fidelity Cables, the electrical signal is strongly induced to follow a magnetic field by use of High Fidelity Cable’s “Magnetic Mapping” process, which does “align’ magnetic poles at each end of the cable in a proprietary and directed way so as to “draw” the electrical signal through the conductor. In effect, he uses the magnetism to keep the electrical signal flow aligned with each other and to minimize the random pathways for electrons within and along the conductor. 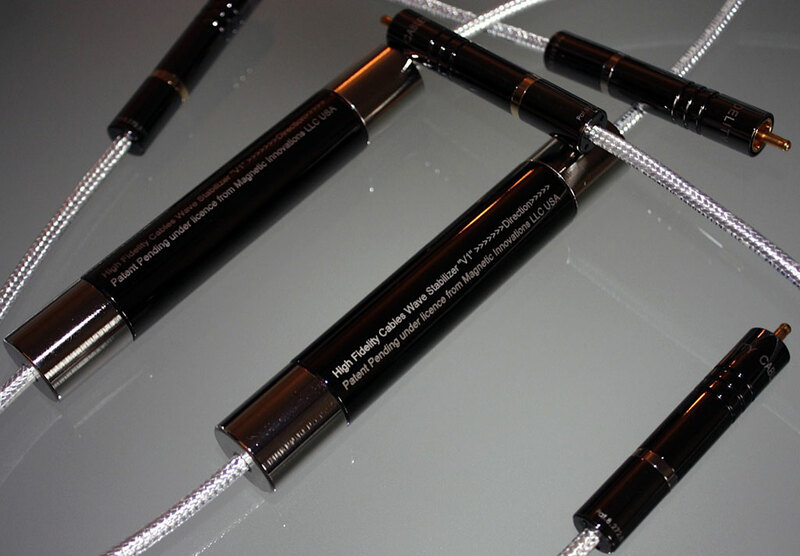 With this technology, the entire cable is directionally magnetized to promote signal transfer. I have described the unusually long RCA plugs in my review of the CT-1s. I called them the best RCAs ever and over the last six months using Rick’s cables, I still feel that way. What I did not know at the time is that each of these long RCA jack have 52 individual parts, all of Rick’s custom design, on the inside. The center pin of the RCA has a bulge at the end called a “PinLok,” that assures a very tight fit into the RCA jack. 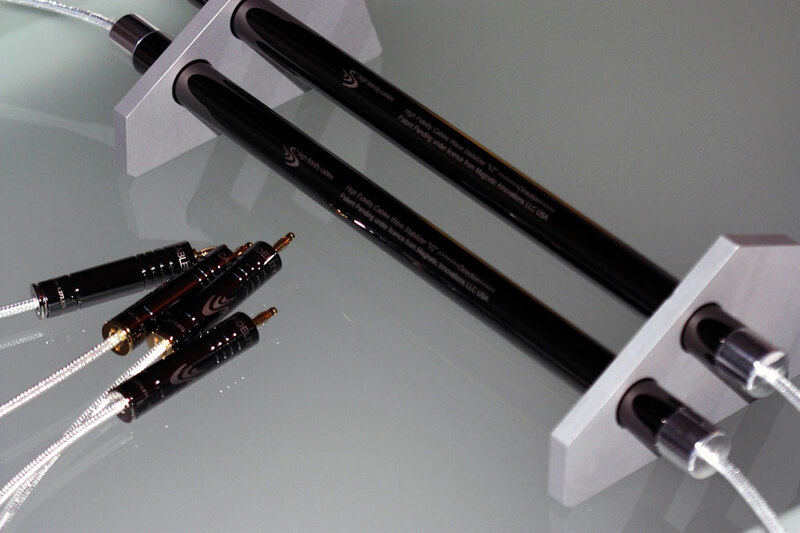 Each end of the company’s cable has different pole magnets to increase the flow of the signal down the signal path. 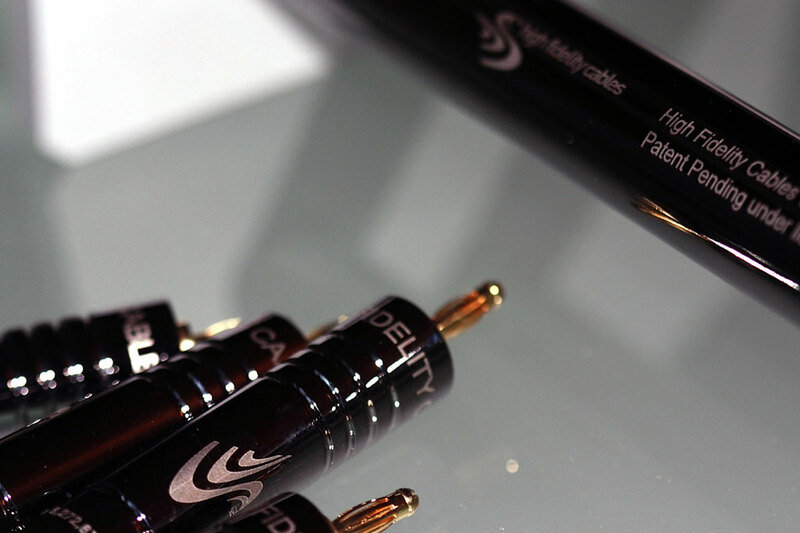 The Ultimate also has large tubes of magnets in the signal path, but you will not find traditional copper, silver, or even gold wire in the High Fidelity Cables. Instead, you will find a highly permeable alloy called “Mu metal” and this is also part of Rick’s patent. I`ve been following your series of CT-1 reviews and have to say you are simply accurate in your descriptions.As a result I auditioned the CT-1E digital from the Cable Company and was immediately impressed. I purchased the ultimate digital cable and after a few months in my system the sound is “significantly” better(one single cable! transport-DAC). For cost and most improvement in sound quality which do you think is better? 2) One pair of the CT-1U(DAC-PREAMP). roughly the same money spent. Charles, there is no way I can answer this question, but my guess is two pair of Es would be best, unless you plan to add one piece at a time. Even then I would probably try to get the magnetic technology all the way from my source to speakers before I moved up to the ultimates. Thanks for your reply,I realize the answer is at best speculation.You`re the only one I know who`s heard all three levels of these cable in the same system (and thus able to render an informed opinion).By the way I really enjoy you SET amp reviews.I went that route 4 years ago and there`s no turning back for me. jack..i could not agree with you more regarding your views on the HF CT-1U cables and the previous lines of Rick’s cables. calling them ‘game changers’ is very accurate in my opinion too.The music emanating from my speakers has never sounded more lifelike.I am at a point in life that i am very glad i don’t have to look any further for the day to day pleasure of listening to my system without wanting MORE. I would like to know where to purchase these interconnects, and pricing.